The game is finished but not expected for a release this year. Details have emerged for the final installment of the Bit.Trip series, titled Bit.Trip FLUX. The game is complete and is likely to be released in early 2011, Gaijin Games programmer Chris Osborn told Destructoid. He also mentioned that the game is not meant to be Wii Zapper compatible, unlike the previous game in the series; it would be possible, but difficult to play using that control scheme. "If you want to make a hit, you have to give a game time to get to quality," says company president. EA Games is not keen on licensed games anymore, according to President Frank Gibeau in an interview with Develop. "The days of licensed-based, 75-rated games copies are dead like the dinosaur," Gibeau said. Even more Brain Training coming to a Nintendo platform. In his book, Saraba Nou Game (Farewell Brain Games), Professor Ryuta Kawashima confirms that the next Brain Age game is in development. At the time the book was written, the game's release was expected by the end of 2010. As the Nintendo 3DS was previously expected to be released this year, it is possible that the 3DS is the target platform. A Brain Training tech demo for 3DS was shown at E3 2010. 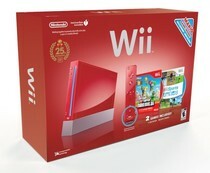 Holiday shoppers eat up Wii and DSi systems. Cave Story explores the DSiWare service, and its WiiWare counterpart receives a demo. Headlining this week is Cave Story, Nicalis's indie sensation. Starting life as a free PC game by Pixel, the game received a WiiWare update, which was released on March 22, 2010. Today, a demo of the WiiWare version has been added to the demos section of the Wii Shop Channel. In addition, a DSiWare version was released today. For 1,000 DSi Points ($10), players will get to experience Mimiga Village and uncover the plot behind their existence. Public 3DS showcase will take place in January. Nintendo's previously announced Japanese Nintendo 3DS demo event, where the public will be able to try the Nintendo 3DS for the first time, will take place in Tokyo on January 8-10, 2011. The venue is the Makuhari Messe convention center and admission is free. The last time Nintendo World took place was in 2006, focusing on Wii following the reveal at E3 that year. Level-5's soccer RPG series is being translated for release in Europe. The first of Level-5's Inazuma Eleven games for Nintendo DS will be released in Europe under distribution by Nintendo. The release date is set for January 28. Initial screenshots show that the game will keep its Japanese title, rather than using the translated name - Lightning Eleven. This is the first time the soccer RPG series, from the company that brought us Professor Layton, has been announced for a release outside of Japan. Update: Announcement was made in error, Nintendo will have no show floor presence. Update: A press release from the planners of CES, the Consumer Electronics Association, states that the announcement that Nintendo of America would be exhibiting at the show was made in error. Nintendo has meeting rooms booked only. WiiWare demos reign supreme in this week's update. As announced by Nintendo last week, WiiWare demos return to the Shop Channel. The first four demos are And Yet it Moves from Broken Rules, BIT.TRIP Fate from Aksys Games, Jett Rocket from Shin'en Multimedia, and Thruspace from Nintendo. All of these demos are free and will be available for a limited time. New demos will be added in the coming weeks. Mario and friends invade Namco's latest drum master game. The third Japan-only Taiko Drum Master game for the Wii will include a track from New Super Mario Bros. Wii, among other video game songs. When playing the game, the background will feature Mario and Luigi dancing along with other characters such as the Koopa Kids. 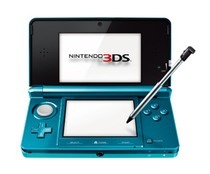 Nintendo releases new DSi bundles for Black Friday. 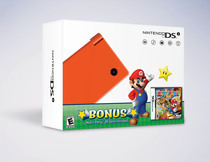 For Black Friday, green and orange Nintendo DSi bundles will be released, containing a console and a copy of Mario Party DS in the box. The DSis will be available from November 26 at a suggested retail price of $149.99, while supplies last. The latest LEGO game will showcase all four Pirates of the Caribbean movies, including the forthcoming sequel. Pirates of the Caribbean is getting the LEGO treatment next May, courtesy of Disney Interactive Studios, TT Games, The LEGO Group. LEGO Pirates of the Caribbean: The Video Game is set to come out on Wii and DS alongside the upcoming fourth film in the franchise, Pirates of the Caribbean: On Stranger Tides. It will feature more than 20 levels that will take players through all four Pirates of the Caribbean movies. This week's downloads will be accompanied by free demos of four games. Downloadable WiiWare demos are returning to North America next week. The games available on the demo service this coming Monday are Bit.Trip Fate, And Yet It Moves, ThruSpace, and Jett Rocket. The service offers free, trial versions of WiiWare games for download. It is expected that new games will be added each week, with older games removed periodically. The 3D enhanced Kingdom Hearts games won't reuse past worlds. Kingdom Hearts creator and designer Tetsuya Nomura confirmed via Famitsu that Kingdom Hearts 3D won't be reusing Disney worlds from other games. 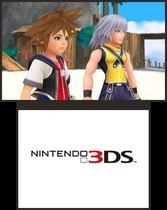 Past handheld titles such as Kingdom Hearts: Chain of Memories and the upcoming Re:coded featured worlds from the previous titles. "Except for original worlds and Traverse Town", he said, "We plan to make all new Disney worlds." Despite a lack of support towards the microphone, Nintendo will still carry it. Despite news of several retailers no longer carrying the device, Nintendo will still be fulfilling retail orders for the Wii Speak microphone. Recently, Conduit 2 developer High Voltage Software confirmed that Nintendo told them to not use the peripheral for their online chat features in favor of PDP's Headbanger Headset. It hasn't been confirmed, however, if the title will still support WiiSpeak for those that still use it. Budcat Creations is closed as of today, and Bizarre Creations' closure is expected in the near future. 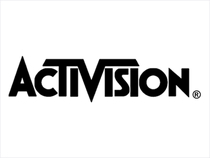 Bizarre Creations is in the process of possibly being shut down by the parent company, Activision. The company has filed notice to their employees that a sale or closure is likely in 90 days, a legal requirement for the UK-based developer. Bizarre created the Geometry Wars series and more recently developed James Bond 007: Blood Stone, which came out November 2. 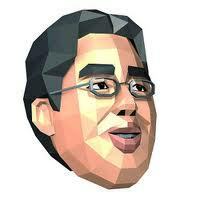 The Nintendo of America President ponders about the future of the series. 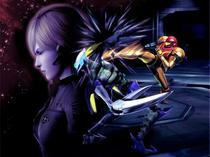 Nintendo of America President Reggie Fils-Aime expressed his concerns regarding the future of Metroid: Other M's sales. He expressed that the tile "should be a million unit title" in an interview with Kotaku. Several Nintendo entries made it onto the list. Square Enix has conducted a survey asking players to select which Dragon Quest title is their favorite at the official Dragon Quest site. The survey began on October 7, 2010, and ended on October 21, 2010. In addition to the games, players were also asked to select their favorite character and monster. Nintendo is now advertising Wii Fit Plus towards new mothers in Japan. Nintendo has released a new Japanese campaign for Wii Fit Plus. The initiative has been dubbed "Post pregnancy exercise through Wii Fit Plus," and it encourages new mothers to exercise after giving birth using Wii Fit Plus. A page for the campaign has been made live. The Need for Speed invades Nintendo's downloadable game service. Five new titles have been added to Nintendo's downloadable game service, including one from a notable franchise.